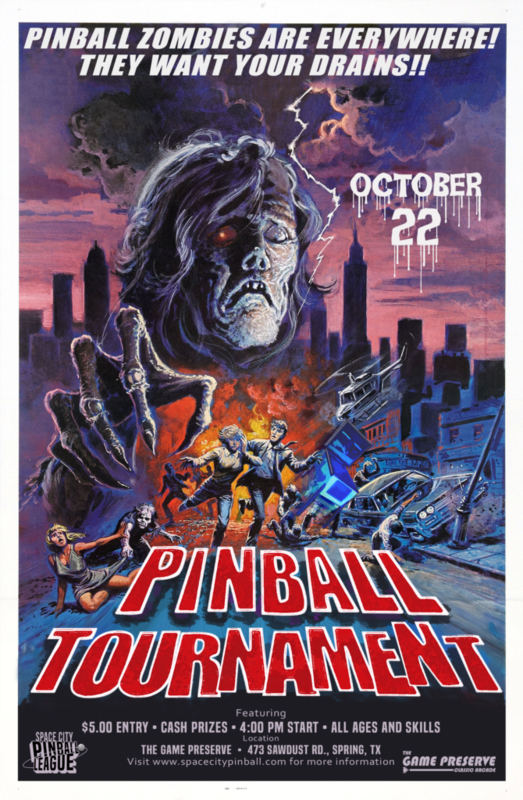 Join the Space City Pinball League on October 22 for an afternoon of friendly pinball competition! Players of all ages and skills are welcome. It costs $5.00 to enter, and entry fees are paid out in cash prizes. Registration at 3:30 PM. Up to 8 rounds of group match play from 4pm-7pm. Top 16 players qualify for finals at 8pm. Season 4 starts this October! 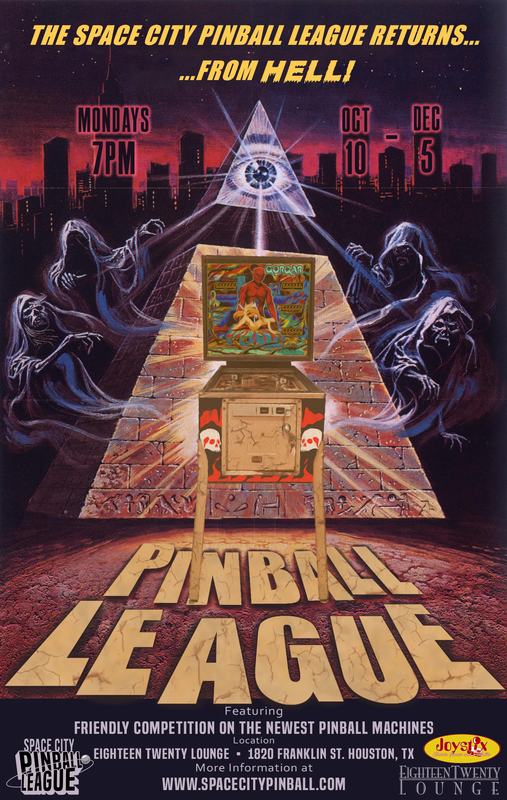 The Space City Pinball League’s 4th season will start again this October! The league meets at 7PM every Monday at Eighteen Twenty Lounge in Houston, TX. The regular season meets will be followed by finals on 12/5 (see calendar for all events). Players of all skill levels are welcome and encouraged to attend. If you’re interested in playing, all you need to do is show up! Play the newest pinball machines, drink some beer, and hang with the biggest nerds in Houston! Want to learn how the league works? Check out our quick start guide for a quick overview. For in depth rules, see the “Weekly League” tab.